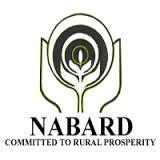 NABARD has published Revised dates of Online Preliminary & Main Examination for the post of Officers in Grade 'A' (RDBS) - 2018, Check below for more details. It is notified for information of all candidates who have applied for the post of Assistant Manager in Grade 'A' (RDBS) vide Advt. No. 4/Grade A/2017-18 that the Online Examinations will be held as under.